From a range of cars available in the market, the new Chevrolet Cruze, now available at our inventory in St. Clairsville, OH stands out as it checks off all the top requirements that forms a great compact car. With the roomy trunk and spacious cabin space of the new Chevrolet Cruze, St. Clairsville, OH drivers and passengers can, commute comfortably. With a range of available infotainment options, you’re sure to have a gleeful ride. The new Chevrolet Cruze, offered in St. Clairsville, is a well-made, practical and fuel efficient for drivers looking for a mix of comfort and performance all tied in a compact car. 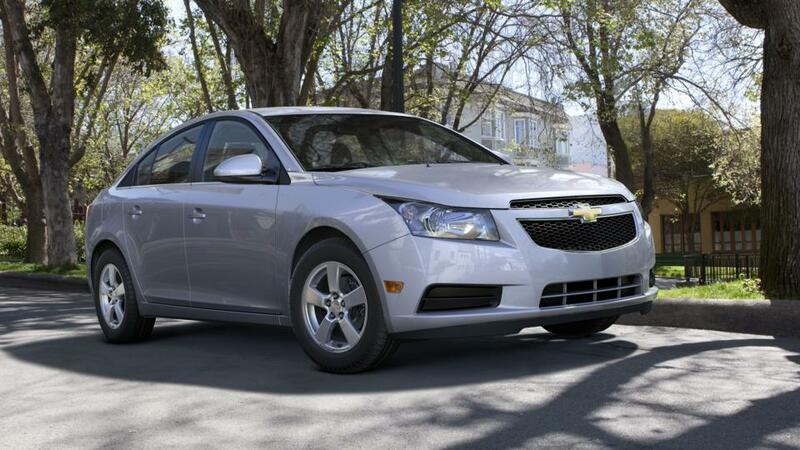 Visit us to explore the new Chevrolet Cruze inventory. St. Clairsville, OH customers can make the most of financing options available. Our qualified sales team will ensure that you leave our dealership satisfied with our service and make sure that you find the vehicle that you need. You can narrow down your searches by trim, color, and variant as per your liking. Visit our hours and directions page for detailed driving directions to our dealership. We are excited to help you find the right Chevrolet Cruze in St. Clairsville.